Primary and current references on various aspects of primitive fishes will be listed here. If you have a reference you think should be listed, please email me at solomonrdavid@gmail.com. References should be listed in the format of the American Fisheries Society to maintain consistency. Graf, J. 2012. A new early Cretaceous coelacanth from Texas. Historical Biology 24: 441-452. Pracheil, B.M., M.A. Pegg, L.A. Powell, and G.E. Mestl. 2012. Swimways: protecting paddlefish through movement-centered management. Fisheries 37: 449-457. Graham, J.B. 1997. 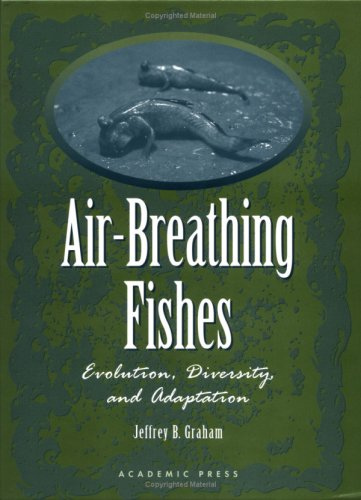 Air-breathing fishes: evolution, diversity, and adaptation. Academic Press. Burlington, Massachusetts. Grande, L. 2010. 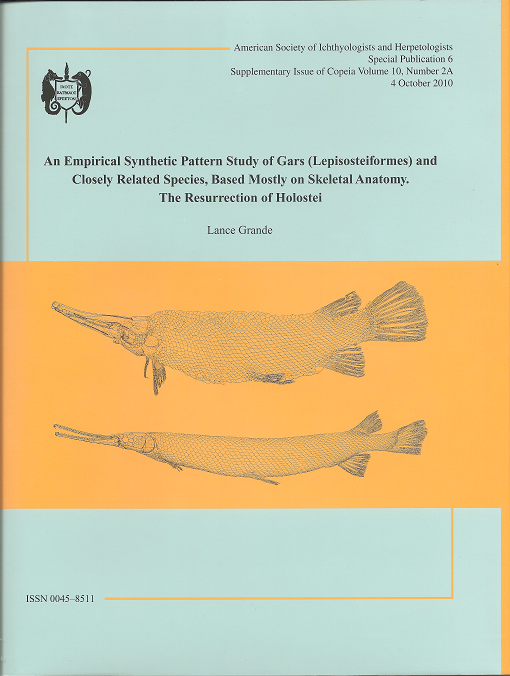 An empirical synthetic pattern study of gars (Lepisosteiformes) and closely related species, based mostly on skeletal anatomy. The resurrection of holostei. American Society of Ichthyologists and Herpetologists Special Publication 6: i-x, 1-871; supplementary issue of Copeia 10: 2a. Helfman, G.S., B.B. Collette, and D.E. Facey. 1997. The diversity of fishes. Blackwell Science. Malden, Massachusetts. Jorgensen, J.M., and J.Joss. 2010. 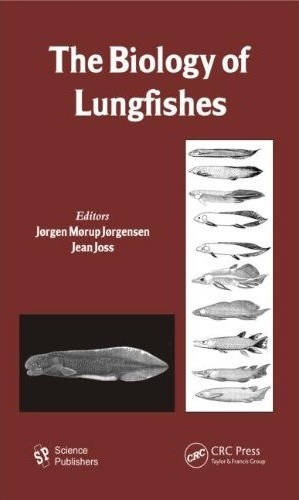 The biology of lungfishes. Science Publishers. Enfield, New Hampshire. Page, L.M., and B.M. Burr. 2011. 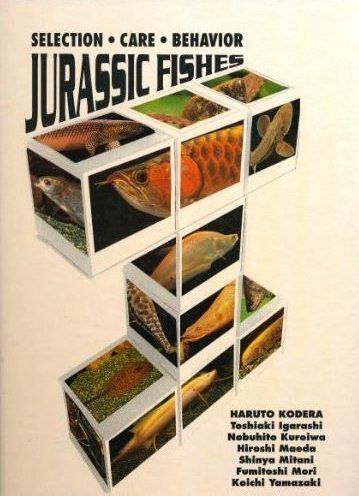 A Field Guide to Freshwater Fishes, 2nd edition. Houghton Mifflin Company, Boston. Suzuki, D., M.C. Brandley, and M. Tokita. 2010. The mitochondrial phylogeny of an ancient lineage of ray-finned fishes (Polypteridae) with implications for the evolution of body elongation, pelvic fin loss, and craniofacial morphology of Osteichthyes. BMC Evolutionary Biology 10: 21. doi:10.1186/1471-2148-10-2. Wiley, E.O. 1976. The phylogeny and biogeography of fossiland recent gars (Actinopterygii: Lepisosteidae). University of Kansas Museum of Natural History Miscellaneous Publication 64:1-111.